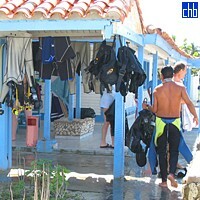 Hotel Villa Maria la Gorda is located on the western tip of Cuba, in the Guanahacabibes Peninsula, in the Cabo Corrientes Nature Reserve and is especially recommended for scuba divers. 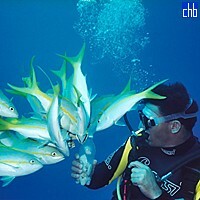 Facilities of the hotel include one buffet restaurant and another one specialized in seafood, bar, car rental, post office, shop, 2 boats for diving (with capacity for 28 and 12 divers), experienced instructors with knowledge of English, French, Russian and Italian, and modern equipment for diving lessons, certified by SSI and CMAS. 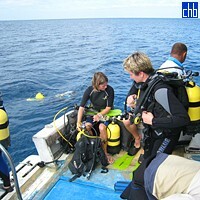 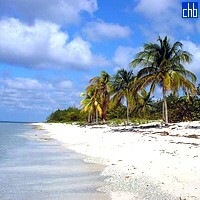 More information on scuba diving at Maria la Gorda is available on check rates and availability page. 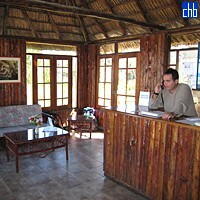 More info and photos of the hotel can be found at the Villa Maria La Gorda Website. 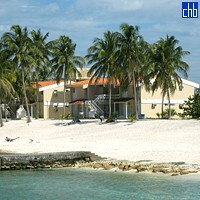 To view hotel visitors own comments please visit the Villa Maria La Gorda Forum. 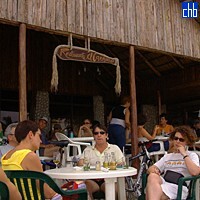 Hotel is made up of 55 air-conditioned rooms right on the beach, with private bathrooms, and most of them with a direct view of the sea. 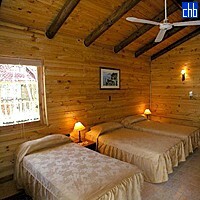 The rooms are either in the two larger common type villas or the new more numerous and spacious wood cabins.